May 24, 2016 – Nothing beats a poolside ice pop during the summer. 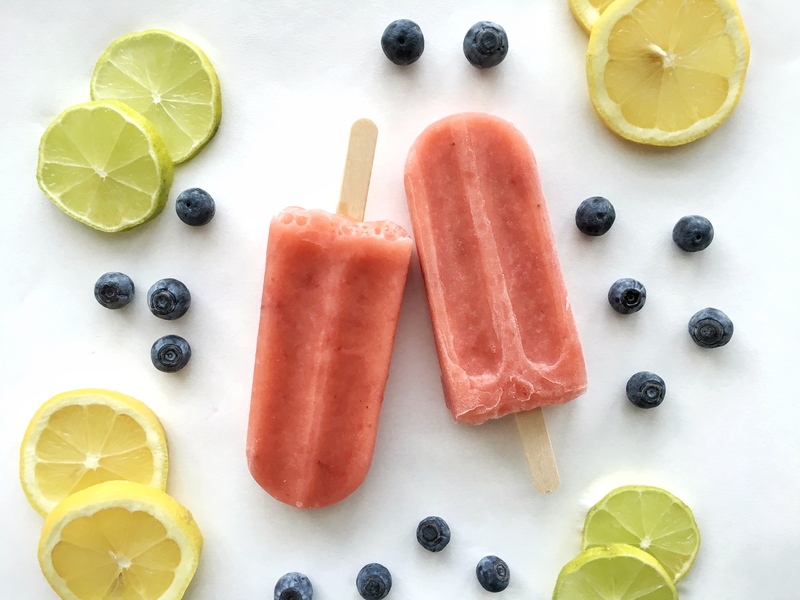 These DIY (and better-for-you) frozen treats will keep you cool while you soak up the summer heat. This Greek yogurt and berry mashup is delicious and nutritious (Shh! The kiddos don’t have to know). Enjoy them at any time of day since these yummy delights are rich in protein & antioxidants. Take vanilla Greek yogurt, swirl in your favorite berries and pour into molds to freeze overnight. Don’t miss out on this chocolaty delight on a hot and humid day. Step 1: Blend six large, peeled bananas and ½ cup of hazelnut spread into a puree. Step 2: Wipe away your drool. Step 3: Pour the ingredients into molds and patiently (we know this will be hard) wait for about 3 to 4 hours for them to freeze. 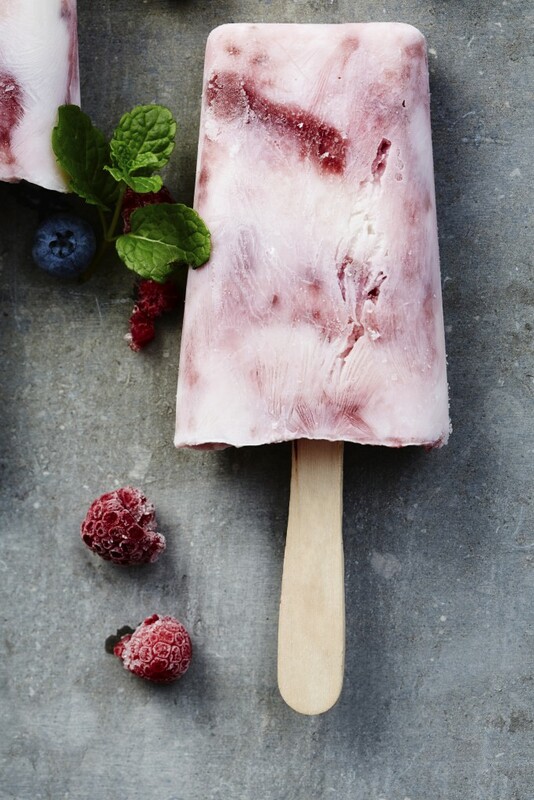 Take your taste buds on a tropical vacation with these coco-berry pops! Blend together ½ cup of coconut milk*, 1 cup of raspberries and 1 cup of blackberries. Pour into molds and freeze. Need more vitamin C in your life? Mix 1 cup of water and 1 cup of sugar in a small pan and boil over low heat. Once the sugar is dissolved, combine with 3 cups of orange juice (and a handful of berries if you want even more flavor and texture), pour into molds and freeze. In the mood for an adult “poptail”? Add some liquor to your ingredients. For an extra kick of sweetness, add a spoonful of honey. No ice pop molds? No problem! Try using paper cups instead. *Available while quantities last. All products may not be available in all stores. Prices subject to change. LOVE these ideas, with my food restrictions even I can do some of these! Thank you very much Aldi! Our Aldi store said this week that because it was a seasonal item, they would not be stocking the potato, macaroni and cole slaw items. My thinking, this is the season for them ! Hum, can you swap out a cup of sugar in the orange one for something with less calories? Do you need all that sugar? Isn’t orange juice sweet by itself? Sounds good and I would like to try them. Where can I buy the molds and sticks you refer to? Does Aldi’s sell the molds for these?